For a while it was looking as if Amazon had the UK ebook market to itself: while rival booksellers offered a range of ebook readers from the likes of Elonex and Sony, nobody offered the soup-to-nuts service of Amazon's Kindle, store and associated apps. Now, though, Amazon UK has a serious rival in the form of WHSmith and its new Canadian friend, Kobo. Kobo isn't new to the ebook game - it's been doing decent business in the US for a few years now, and its UK ebook store has been open since February 2010 - but its ereaders are new to Britain. 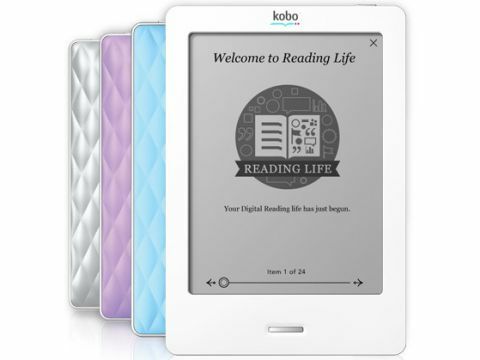 There are two models, starting at £89.99 for the Kobo Wireless eReader and rising to £109.99 for the newer touchscreen Kobo eReader Touch. Given the choice, we'd pay the extra 20 quid - the Kobo eReader Touch makes its sibling look rather old-fashioned, and while it isn't quite a Kindle killer, it comes very close indeed. If you don't like Amazon's power, can't wait for the Kindle Touch to be offered over here or just think the redesigned Kindle mings, the Kobo eReader Touch is a genuine alternative to Amazon's offering. It's an alternative that in some respects beats Amazon's device at its own game. It looks better, has a nicer user interface and has a better range of typefaces, and unlike Amazon's touch-screen device you can actually buy one in British shops. Ebook readers aren't just about technology, of course - they're about content too, because nobody's going to shell out for an ebook reader they can't get any books for. Kobo's got that covered, too: while we found a few gaps in the catalogue, the big hitters were present, correct and no more expensive than Amazon.